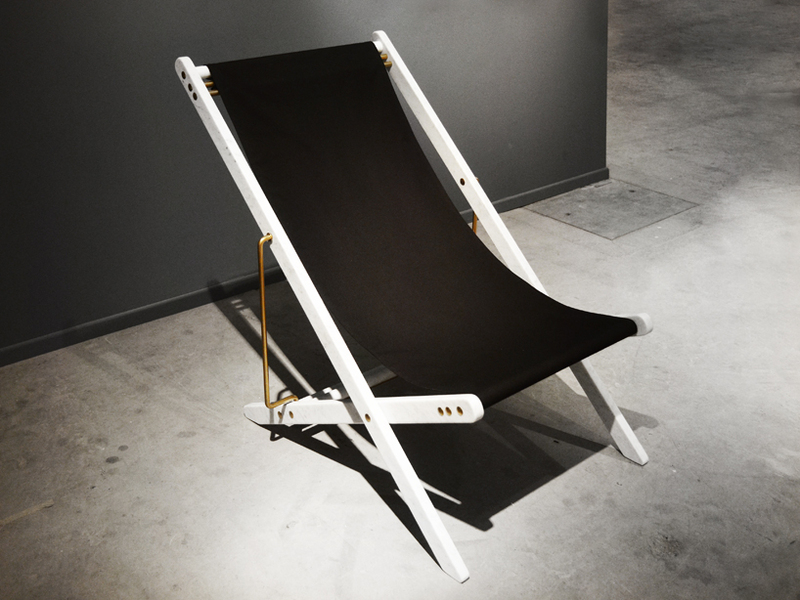 image by Jeremias Morandell, courtesy of camp design gallery. 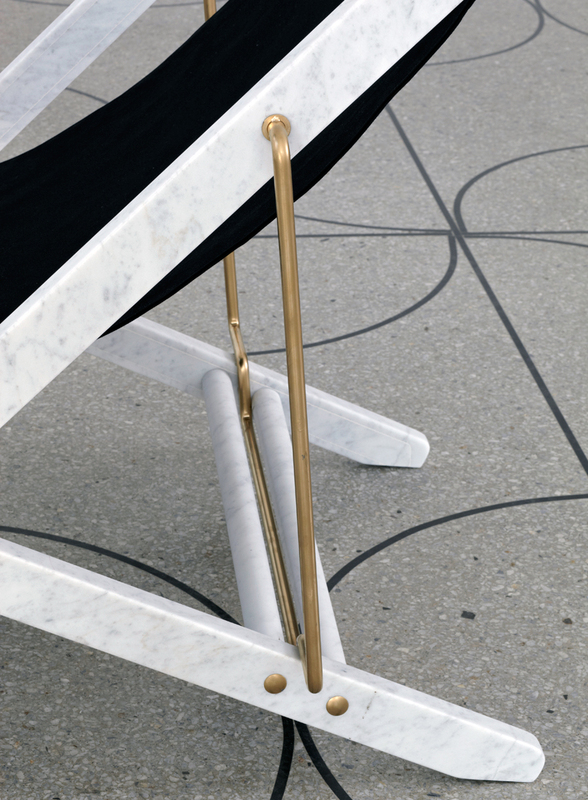 camp design gallery collaborates with a select group of designers on a series of limited edition pieces that are made using classic mediums like Carrara marble and clay, that have been manipulated through innovative manufacturing techniques. they commissioned Veronica Todisco to envision a contemporary piece of furniture — taking an iconic and familiar everyday object, and affirming its existence through an unconventional use of the material. 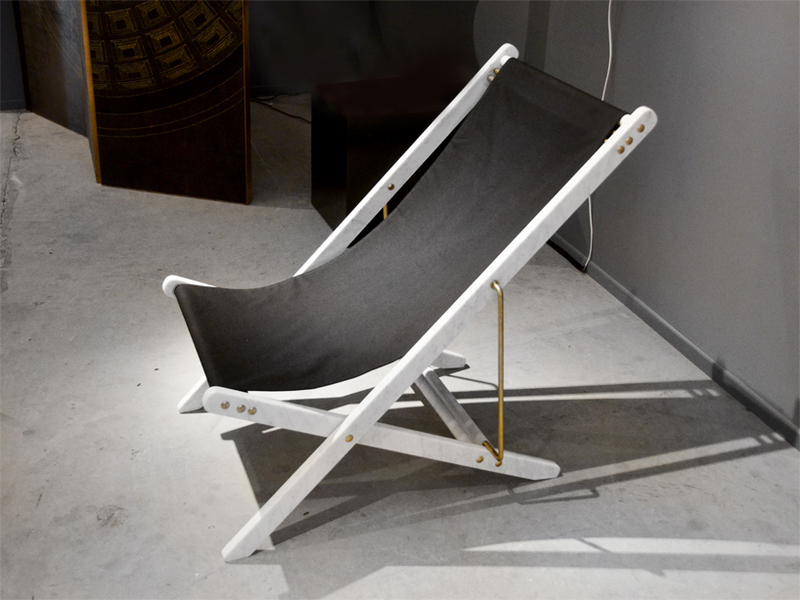 the result is ‘adaptations’: a folding deckchair that is characterized by a Carrara marble structure, supported by a brass metal frame. 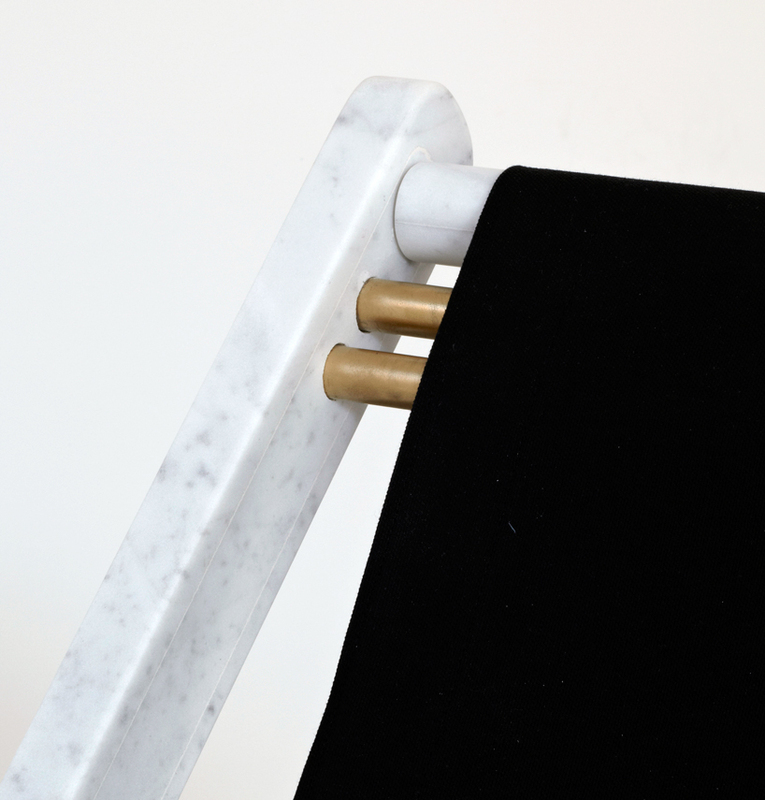 ‘adaptations’ expresses the solidity of well-known objects, rendered through traditional italian craftsmanship, bringing forth a sophisticated work of art. it projects an unpredictable interaction between human will and natural properties, demystifying preconceptions, unravelling the boundaries of imagination, and bringing forth the ephemeral.